Workshop with Geoffrey Dorne. 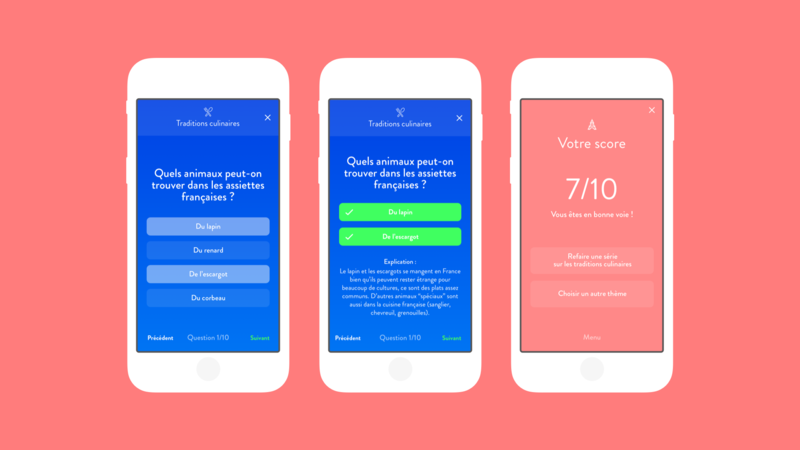 The challenge: create an application to help immigrants facilitate their life in France. 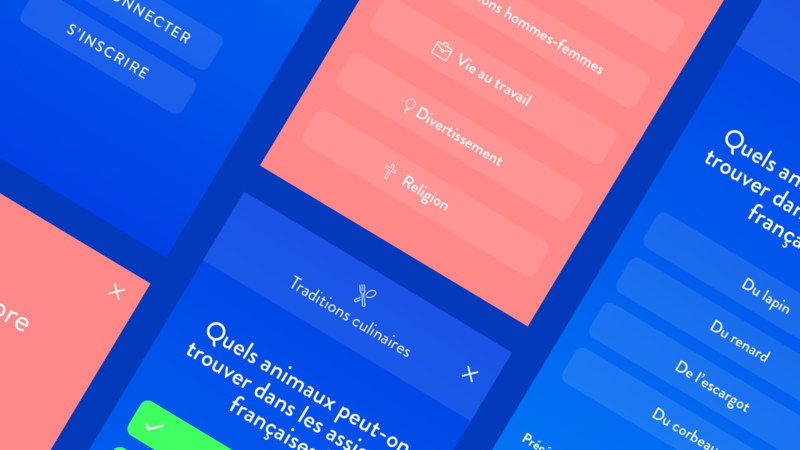 We imagined FrenchCoach, an app to help immigrants understand French customs and allow them to easily integrate in the society. Workshop with Geoffrey Dorne. The challenge : create an application to help immigrants to facilitate their life in France. 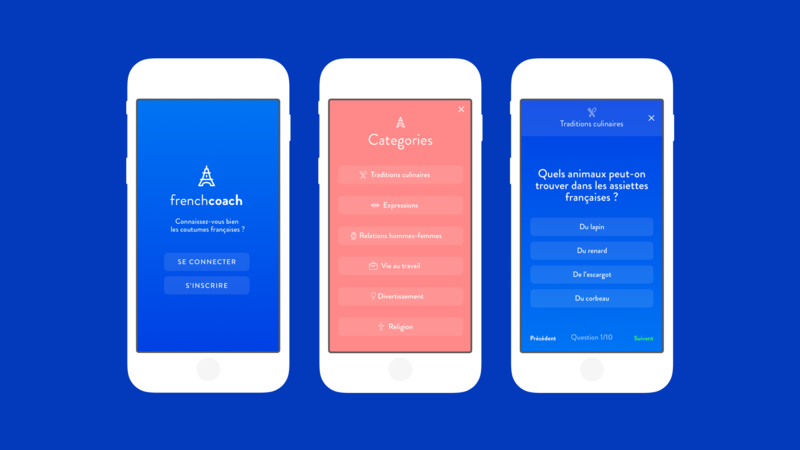 We imagined FrenchCoach, an app to help immigrants to understand french customs, and allow them to easily integrate themselves in society. The user first choses the category that they want to explore: idioms, work life, religion, entertainment... It starts a series of 10 multiple choice questions. For each answer the app gives an explanation of the right and wrong answers, allowing the user to improve their knowledge. At the end of the series, the user can see their score, start a new series or change categories.